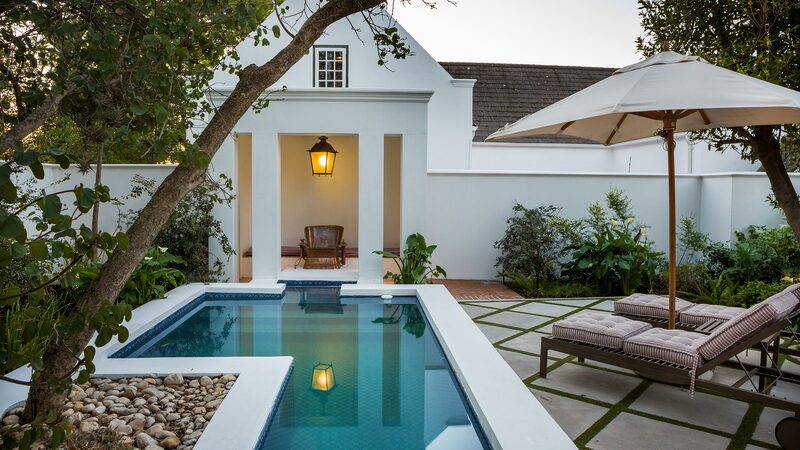 Akademie Street’s signature cottage, Vreugde is a most generous and luxurious space. 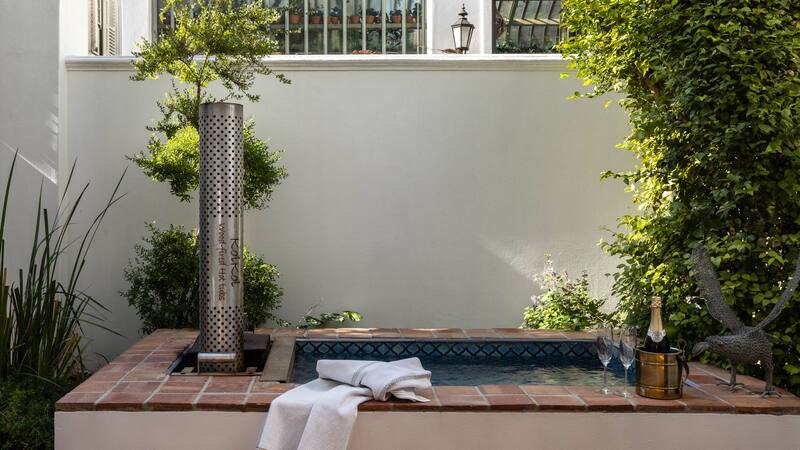 The entire cottage and gardens are solely for the private use of guests residing there. 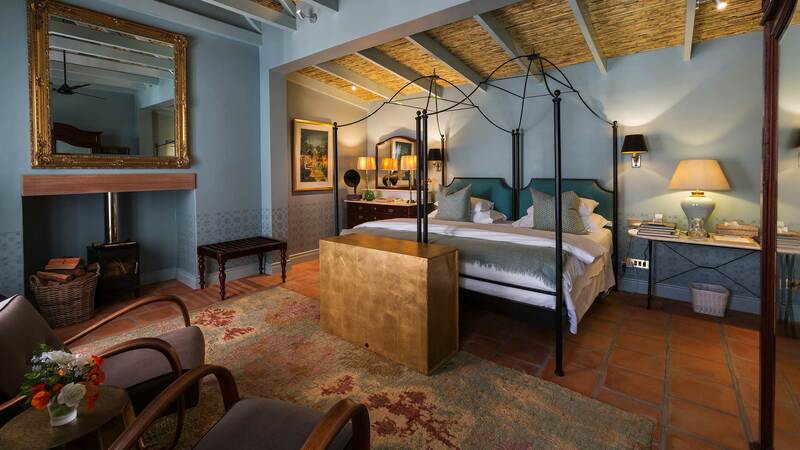 The cottage itself includes a generous bedroom and living space, as well as a luxurious appointed bathroom. 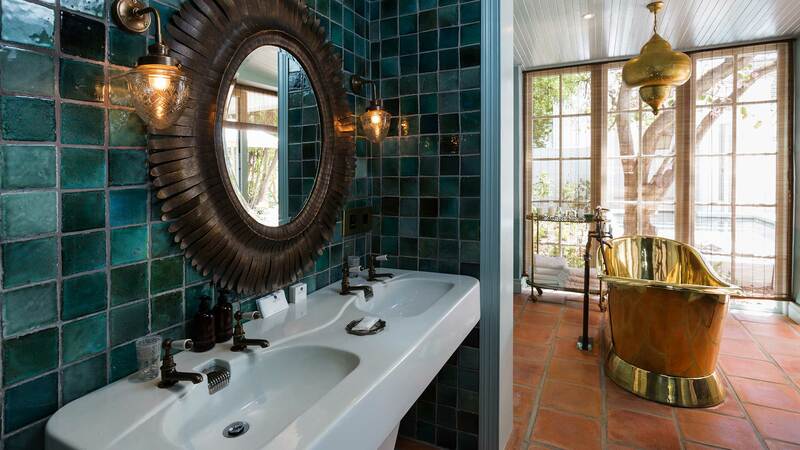 The interior decor is sophisticated, yet soothing. 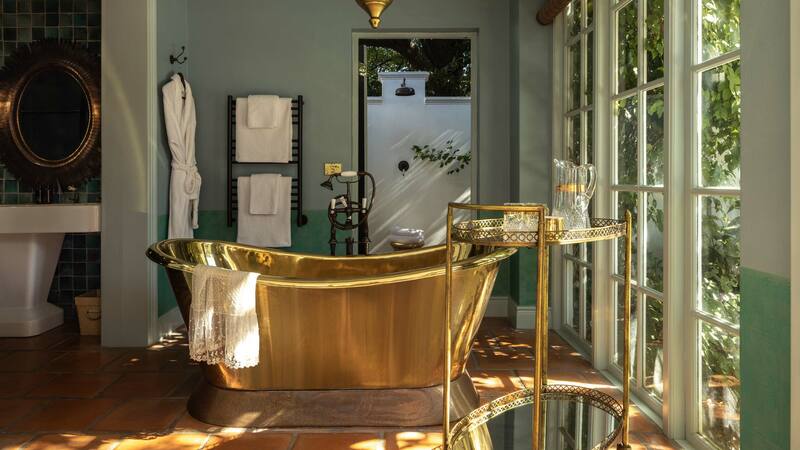 Luxury is delivered in spades with an array of features including an Italian style canopy bed, vintage double vanity, free standing hand made brass bath, separate shower, wood burning stove in the bedroom and underfloor heating throughput. 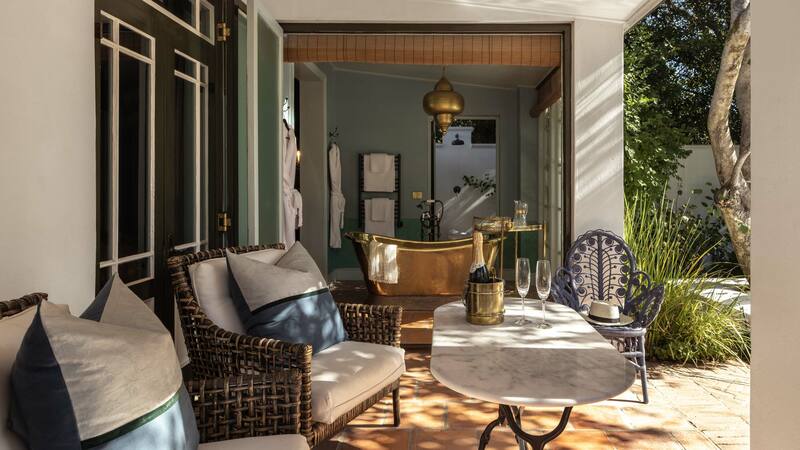 The gardens have been beautifully designed with seasonal flowering plants surrounding a stunning moroccan mosaic plunge pool, a wood burning hot tub and outdoor shower. The cottage also has a separate kitchenette, private street access and off street parking.